Organic soil building is an important part of starting or maintaining a healthy organic garden. The good news is that it is not that difficult to build up your soil for growing vegetables or flowers without the use of pesticides, herbicides and chemical fertilizers. 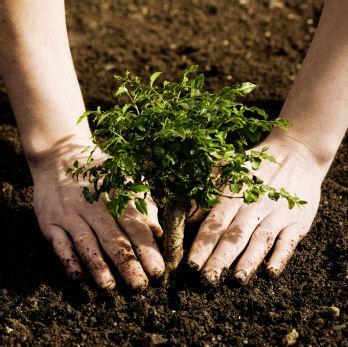 The main aspect of healthy soil that you are going for when you are working on organic soil building is making the soil healthy enough to support not only the plants that you want to grow but also the beneficial organisms that live in the soil. Growing healthy plants is not just a matter of keeping the plant alive to produce flowers or fruit. It's about building an ecosystem that will allow the plant to thrive with minimal stress. That means the soil needs to be full of nutrients and there needs to be a way to eliminate any pests that might be around trying to feast on your plants. Building up a healthy soil accomplishes both of those things. Before you can begin building up your soil, you need to know what you are dealing with. You can purchase a test kit that will help you find out how much of the major nutrients you have in your soil, or you can send a soil sample to your local cooperative extension service and get a detailed soil analysis. How much of different nutrients you need will depend on what you are trying to grow. You'll also want to know whether your soil is acidic or alkaline (many plants prefer an acidic soil) and if it drains well or poorly. Armed with this information, you can begin adding in soil amendments that will improve the quality of your soil from day one. One of the most important nutrients you can add to your soil, no matter what condition it is currently in or whether you plan to practice organic or conventional gardening, is compost. Compost is basically all sorts of decayed, organic matter. It can be made of anything from table scraps to horse manure, and it's wonderful stuff for your garden. Compost brings nutrients to the soil (which can vary depending on what the compost is made of) and also improves aeration of the soil, helping break up clay soils and causing them to drain better. No matter what kind of soil you have, adding compost when you are building a new bed and annually thereafter will improve the structure of the soil and make it a better place for microbes to live. Adding compost with the help of a tiller breaks up the soil, adding more air to it, which is essential for earthworms and beneficial microorganisms to thrive. Organic soil building isn't something you do once and then you're finished forever. Especially if your soil is very poor to being with, you'll need to monitor the nutrient content in your soil annually until you get to a good balance for the plants you want to grow. Adding compost or manure each year before planting is another great way to keep improving your soil. If you have a tiller, that's a great way to incorporate these substances. Don't till too deeply however, since most plants are only rooted in the first few inches of soil anyway. Once you have gotten your soil nice and aerated, try not to walk on it. If you must walk through your garden bed, put down stepping stones or use mulch to mark out a path and don't ever let your feet stray from it. If your soil is in really bad shape, you might want to consider building raised beds so that you can add a great deal of nutrients and improve the soil just by importing new soil instead of using what you already have. In most cases, however, with a little patience and some good organic methods, you can build your soil into the growing powerhouse that you want it to be.